Paramahansa Yogananda was born Mukunda Lal Ghosh on January 5, 1893, in Gorakhpur, India, into a devout and well-to-do Bengali family. In his youth he sought out many of India's sages and saints, hoping to find an illumined teacher to guide him in his spiritual quest. 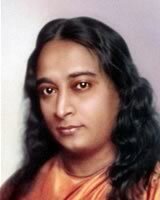 Paramahansa Yogananda began his life's work with the founding, in 1917, of a "how-to-live" school for boys, where modern educational methods were combined with yoga and meditation training and instruction in spiritual ideals. Visiting the school a few years later, Mahatma Gandhi wrote: "This institution has deeply impressed my mind." For the next several years, Paramahansa Yogananda lectured and taught on the East coast and in 1924 embarked on a cross-continental speaking tour. The following year, he established in Los Angeles an international headquarters for Self-Realization Fellowship, which became the spiritual and administrative heart of his growing work on meditation and self transformation. Paramahansa Yogananda emphasized the underlying unity of the world's great religions, and taught universally applicable methods for attaining direct personal experience of God. 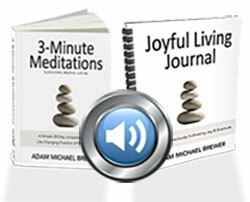 To serious students of his teachings he introduced the soul-awakening techniques of Kriya Yoga meditation, a sacred spiritual science originating millenniums ago in India, which had been lost in the Dark Ages and revived in modern times by his lineage of enlightened masters. In 1935, Paramahansa Yogananda began an 18-month tour of Europe and India. During his yearlong sojourn in his native land, he spoke in cities throughout the subcontinent and enjoyed meetings with Mahatma Gandhi (who requested initiation in Kriya Yoga meditation), Nobel-prize-winning physicist Sir C. V. Raman, and some of India's renowned spiritual figures, including Sri Ramana Maharshi and Anandamoyi Ma. It was during this year also that his guru, Swami Sri Yukteswar, bestowed on him India's highest spiritual title, paramahansa. Literally supreme swan (a symbol of spiritual discrimination), the title signifies one who manifests the supreme state of unbroken communion with God. Paramahansa Yogananda's life story, Autobiography of a Yogi, was published in 1946 and expanded by him in subsequent editions. 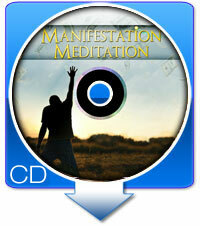 It is widely regarded as a modern spiritual classic. On March 7, 1952, Paramahansa Yogananda entered mahasamadhi, a God-illumined master's conscious exit from the body at the time of physical death.